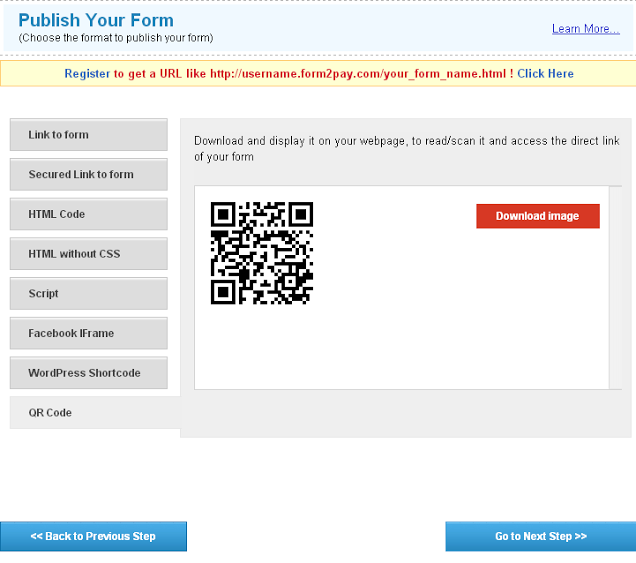 The link carries the username of the Form2pay id. 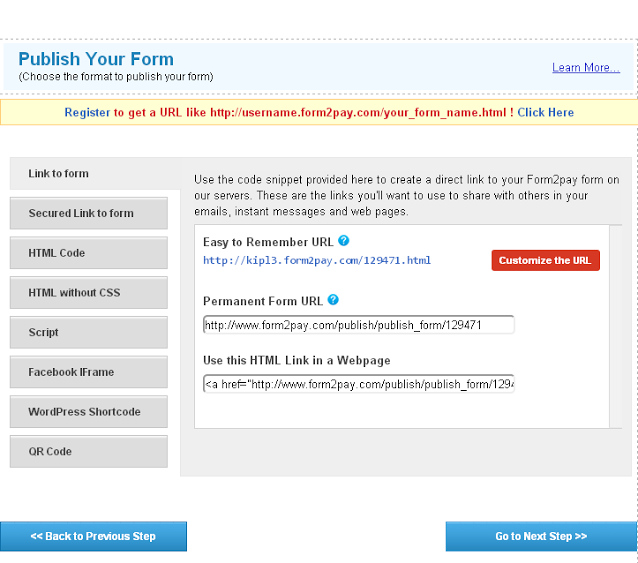 The premium paid service users can opt to customize the form subdomains with the Customize URL option. There is an option of HTML code without CSS as well. 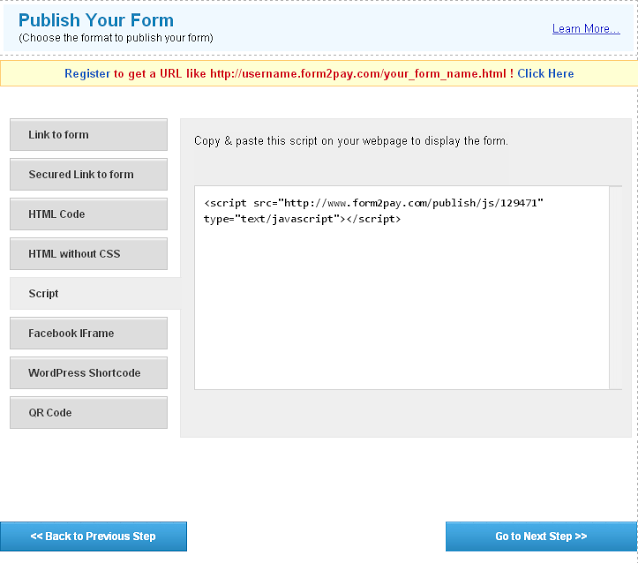 Copy the link, script or HTML code to paste on your website.There is the option of an Html Code with CSS and without CSS as well. There is the option of an Html Code with CSS as well. There is the option of an Html Code without CSS as well.